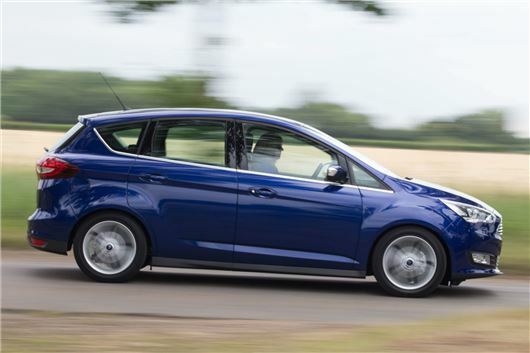 Ford has confirmed that the C-Max and Grand C-Max models will be dropped from sale in a bid to save money as the brand concentrates on models in higher demand. The future has looked bleak for the slow-selling people carriers since the smaller B-Max was dropped from the range in 2017. Production of the two models - which are built in Germany - will continue until the end of their intended life cycle in June 2019. They won't be replaced as Ford intends to invest instead in 'high margin' vehicles such as estate, Active and ST versions of the Focus - all of which are built at the Saarlouis plant. Ford has informed workers at its German factory that it will be dropping the night-shift as part of its latest cost-cutting measures, while 5000 jobs will be cut there and at its site in Cologne. The future is also looking uncertain for the Mondeo - a car which is selling in decreasing numbers in Europe and is based on the US-market Ford Fusion. The manufacturer has already confirmed plans to stop selling the Fusion as it concentrates on trucks and SUVs in the USA.